If your car has seen better days, then Jeffrey Acura has an opportunity for you. We offer an Acura Upgrade Program for our customers, so you can receive a high-quality vehicle for a surprisingly affordable price. Don’t miss out on the chance to get the car of your dreams! Find out more about our Acura Upgrade Program, then head to the dealership to find your new car. How Does the Upgrade Program Work? Take a look at our inventory and test drive your favorite models. Bring in your old car for a quick assessment. Trade in your vehicle, and you’ll get an offer in as little as 15 minutes. Drive off in your brand-new car! Jeffrey Acura will take care of all the paperwork while selling your old car. Enjoy better fuel economy, newer technology, advanced safety, and other comforts that only a new model can provide. Experience low monthly payments on your new model and above-market value on your old model. Are you in need of a change? 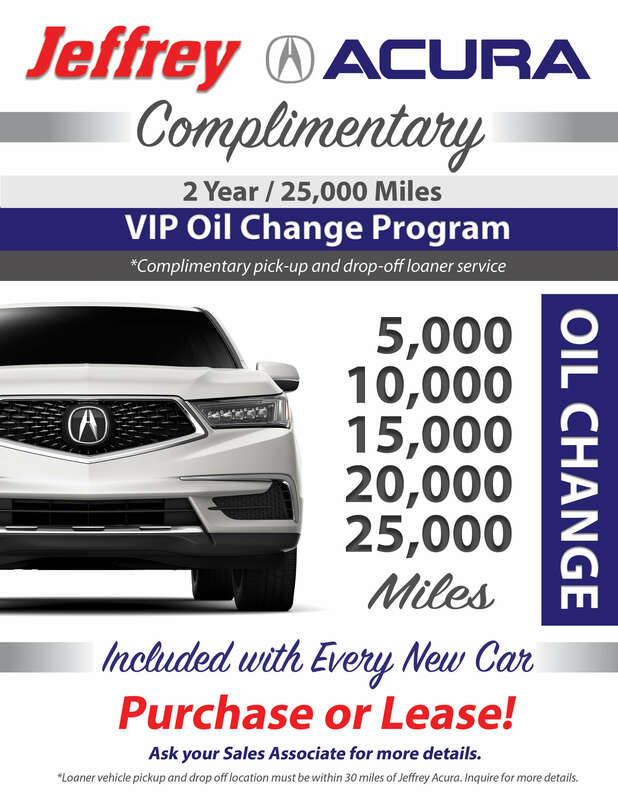 Jeffrey Acura is happy to offer an Acura Upgrade Program to our customers. Our finance team can secure competitive rates for anyone, so you can finally afford the car that you’ve always wanted! Stop by the dealership to browse our new vehicle inventory, then speak with our staff about your customized upgrade package. You deserve the car of your dreams!